MAYBE YOU JUST NEED A GLASS OF WATER? Water is the foundation of life – we are mostly made up of water. In fact, around 75% of the human body is water, the other 25% is solid matter. But, what also might be surprising is that our brain is 85% water – that’s alot of water! Not to mention your blood is 82% water, lungs that carry oxygen are 90% water, your bones are 25% water. Are you reaching for a glass right now? During my health coaching studies I was exposed to Dr. F. Batmanghelidj, a researcher, author and advocate of the healing powers of water. I remember thinking, oh please, we all KNOW that water is important. But I didn’t expect to find out HOW important. With that much water making up our entire system, it shouldn’t be a surprise that we literally need water. But, I am shocked by how many clients/friends confess to barely drinking 2 glasses of water a day. These are the same individuals who might also struggle with cravings, migraines, lethargy, crabbiness. I can definitely vouch for unusual mood swings, headaches and exhaustion when I haven’t had enough water throughout the day. Now, Dr. F. Batmanghelidj takes it a little further. Through his research he goes as far as saying that water can be a cure for many degenerative diseases. Big statement, but one that he backs with countless studies and scientific documents. Whether you choose to accept that water can prevent and cure serious diseases, it doesn’t matter, the reality is we need water to sustain life. Water generates life, in our bodies, but also around the planet. Food is necessary but we can definitely hold out a little longer without it. Water, is vital. We are what we eat, but we are mostly what we drink! Unfortunately, alot of the time we see thirst as hunger, and treat it with excessive eating, especially sugar, to jack up on and fight the feelings that dehydration can cause such as headaches, mood swings, fatigue, excess acid in the body, sluggishness. Or maybe you do identify that you are thirsty but reach for the wrong type of drink. In lieu of water if you are slugging back tea, coffee, soft drinks and juices you aren’t getting the necessary hydration your body and brain needs. In fact, you are only exacerbating the problem and leading to further dehydration. So, what happens when you starve the body of its most vital life-source? Lots of unhappy things! It seems that we can avoid all of that if we just treat our thirst with some water. The next time you crave something you know isn’t right for you, (food or drinks!) 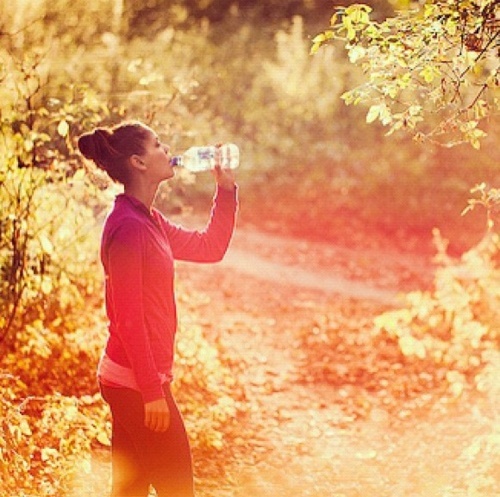 try this first: drink water! Simple, huh? Or even better, realise that by the time you feel thirsty you are already dehydrated. Make water a normal part of your daily habit. Water will sort out whatever your body was craving for. 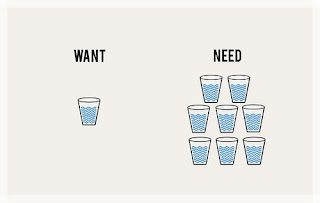 So, how much water should we drink? This is where it gets a little confusing. 8 cups a day, 2 litres, a % of your body weight? There are a zillion different theories. But honestly, I believe this answer comes down to a few things – your weight, the climate you are in, the amount of exercise you are doing, if you are pregnant, the altitude and so on. As a guide, at least 1.5 litres per day as a minimum. And of course, more if it’s hot, you are exercising or you know you need more. An easy tip – add a sprinkle of pink salt to your water to aid absorption when you feel dehydrated. Try not to over drink as it can deplete minerals in the system. Whilst drinking too much towards the end of the day/evening can make you feel too awake and active which makes it difficult to settle and fall asleep. You want to enjoy a really deep sleep without having to rouse yourself for a toilet break! It’s important to not disrupt your natural dream cycle to process the day and allow the body to rest, digest and revive. Finally, don’t drink just before, during or just after a meal – allow your enzymes to digest and do the job they are supposed to. When it comes to what type of water, well there are lots of different options and theories – this is going to be a whole separate post! Filtered, tap, bottled, hot, cold. Me, I’m not too fussy. I use a filter at home but I’m not afraid to drink from the tap. Really, if you are not drinking alot of water, just by increasing your consumption you will make the world of difference. Personally, I tend to reach for warm water in winter, or at least at room temperature so it doesn’t shock my system. I always start everyday with a big glass of water followed by hot water with lemon. From an Ayurvedic, starting off with a big glass helps kick-start the system and nourish your organs. Also, in winter Ayurveda believes that really ice, cold water in winter can exacerbate your vata and lead to colds and flu. So drinking warm water is recommended to cleanse and nourish the system and aid digestion. Also, according to Ayurveda, normal drinking water can take about 6hrs to be absorbed. 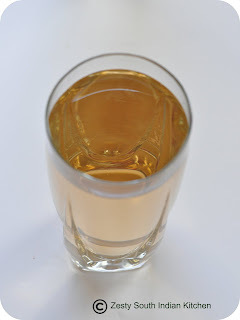 However, hot herbalized water takes about 1.5hrs and a half hours, and the addition of the herbs helps open the channels, clear mucous and toxins and cleanse the body as it hydrates it. Drop the heat to a low simmer for 10 minutes. Take off the heat, strain and keep in a thermos. Start the day by drinking a big glass of water, first thing and then sip this herbalised brew throughout the day. So, if you get nothing else from this post but the understanding that you need to drink more water (even if you don’t care why), then go for it. It’s the simplest yet most impactful thing you can do for your health.